In early 1961 the Soviet Union granted China license manufacturing rights for the MiG-21F-13 Fishbed-C tactical fighter and its Tumanskiy R-11F-300 afterburning turbojet. In keeping with the licensing agreement three Fishbed-Cs were delivered to China as pattern aircraft, along with CKD kits for an initial batch of about 15-20 fighters. Before the technology could be transferred in full, however, the rift between Moscow and Beijing occurred, and all co-operation in defense matters was broken off. Having an incomplete set of manufacturing documents, the Chinese nevertheless decided to launch MiG-21 Fishbed production no matter what. The aircraft received the local designation Type 62 (in 1966 changed to J-7). Production entry was beset by quality problems because the Soviet technical assistance was cut off. Since the People's PLAAF urgently needed the new fighter. However, for various reasons, Chengdu and Guizhou factories were unable to manufacture J-7 aircraft. 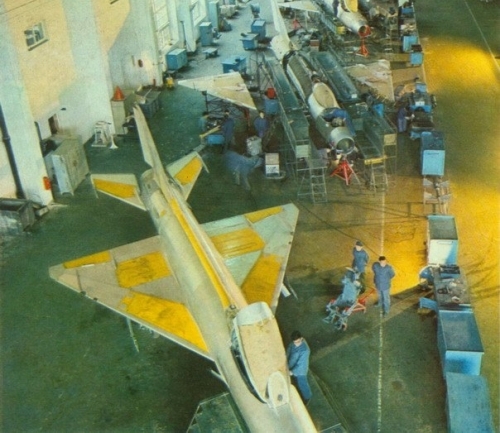 The J-7 production was temporarily transferred to the Shenyang Aircraft Factory. 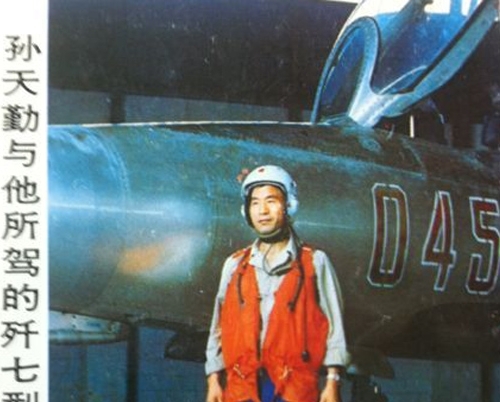 On 17th January 1966 the first Shenyang-built J-7 Fishbed made its maiden flight at the hands of Ge Wenrong. In the course of the tests the fighter attained a top speed of Mach 2.02. Yet the type's production career at Shenyang was brief due to the 'Cultural Revolution'; the factory managed to complete only a dozen J-7s sans suffixe. These aircraft were almost identical to the Soviet-built MiG-21F-13; the main differences lay in the temporary lack of missile armament and the fixed air intake centre body (the Chinese had not received the part of the manufacturing documents concerned with the movable centre body). 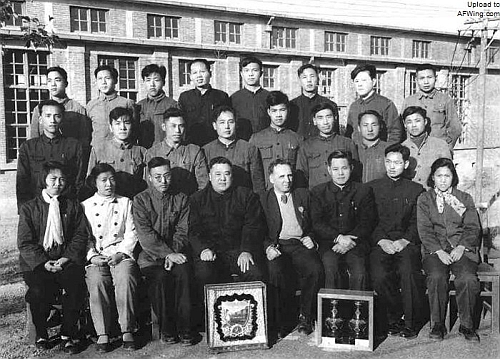 Shenyang Aircraft Factory started production in 1967. Between 1967 and 1970, only 39 pieces of J-7 Fishbed were made. One prototype, 24 pcs new product and 15 pcs from Soviet CKD kits. In 1970, production was stopped. 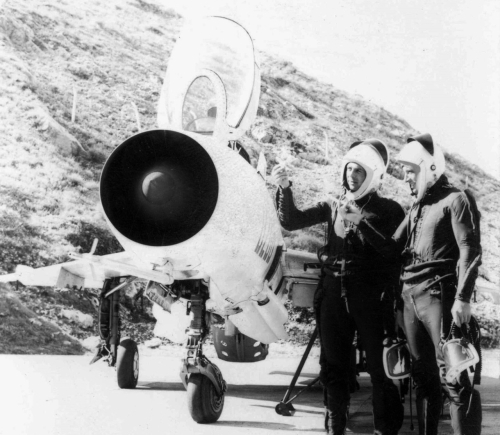 12 J-7 out of the 39 produced were exported to Albania! The J-7 only saw very limited service with the PLAAF due to poor manufacturing quality, design flaws and unsatisfactory performance. None of the Chinese regiments were completely filled up with J-7. Only 3-6 machines deployed temporary to a few strategic airports. 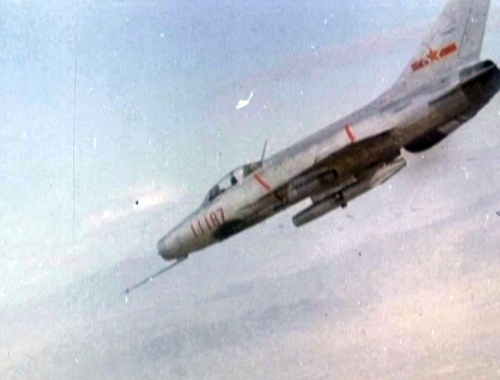 Between 1969 and 1971 the PLAAF J-7 interceptors defending China's southern borders destroyed six USAF unmanned aerial vehicle intruding into Chinese airspace. 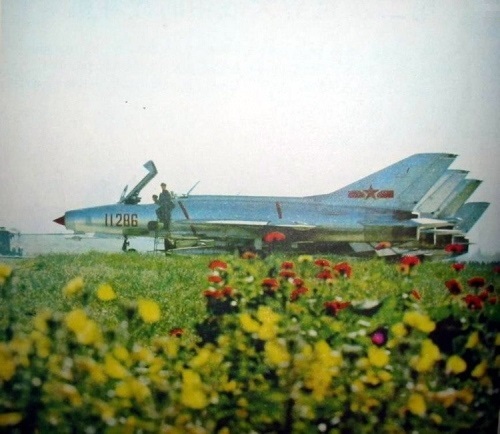 Albanian Shenyang J-7 sans suffixe. The export version was designated F-7. 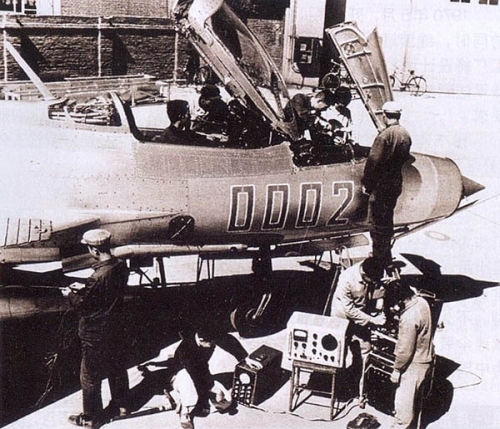 In 1970 the Shenyang Aircraft Factory relocated the J-7 to the Chengdu Aircraft Factory, allowing the Shenyang Aircraft Factory to concentrate on the J-8 fighter. 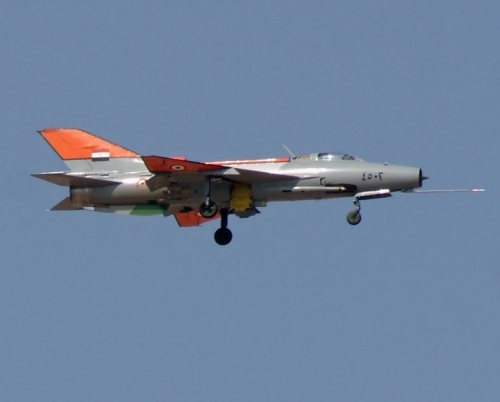 Chinese decided to increase the J-7I's armament by reverting to the MiG-21F's original twin cannon arrangement, built-in one plus Type 30-1 cannon on the left side. The Chengdu Aircraft Factory produced 34 pcs J-7I modified fighter between 1970 and 1971. In 1971, production was re stopped. 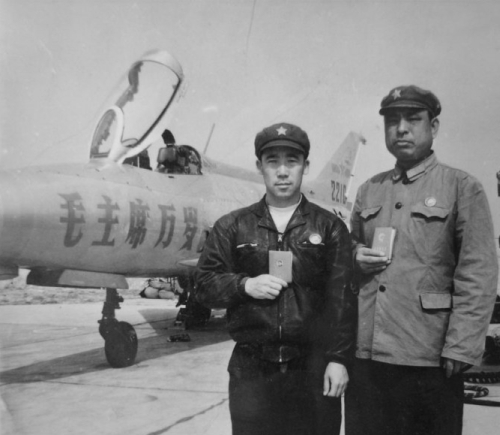 The PLAAF did not take over the J-7I produced during the Cultural Revolution, due to poor manufacturing quality, design flaws, and unsatisfactory performance. Chinese 7th Air Division's three early J-7Is with traditional brake parachute storage and one late J-7I with brake parachute container at the base of the rudder in one row. The Democratic People's Republic of Korea Air Force received forty second-hand, former PLAAF J-7I Fishbed fighter aircraft in the early eighties. The production accelerated after the Chinese Cultural Revolution. Chengdu Aircraft Factory produced 153 pcs J-7I interceptor fighter between 1978 and 1981 for PLAAF. After 1981 produced F-7A export version for Egypt. The brake parachute container of the later J-7I version relocated to the at the base of the rudder after 1980. The early eighties China delivered forty former PLAAF J-7I interceptor fighter to North Korean Air Force. 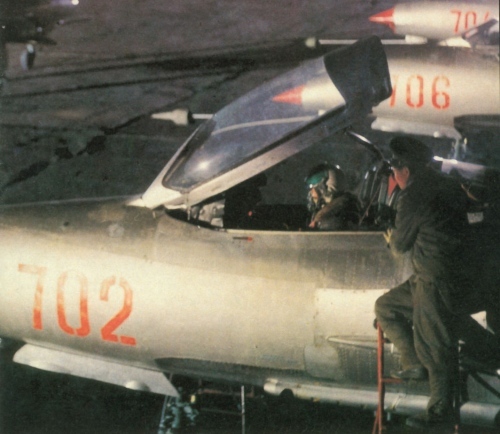 Only three fighter air division of the PLAAF used the remainder J-7I Fishbed type in the early eighties. 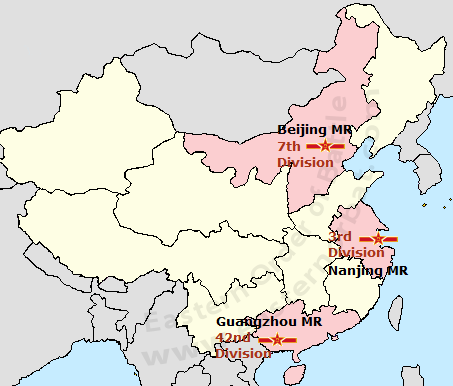 The 3rd Air Division’s regiment defended Shanghai and the surrounding industrial area. 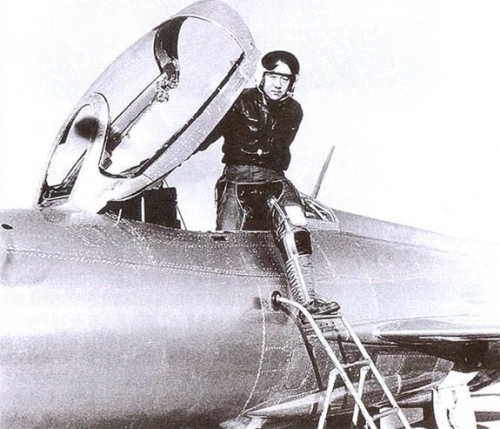 The 7th Air Division’s fighter air division’s task was also the defense of the Chinese capital, Beijin. And the regiment of the 42nd Air Division defended the Chinese-Vietnamese border in the early eighties. The Chinese Air Force used a large number Chengdu J-7I Fishbed fighter aircraft than testbed. 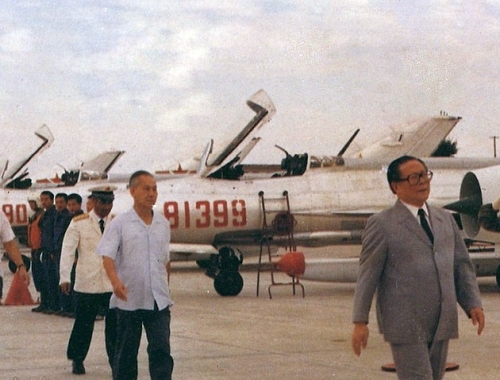 A Chinese pilot, Sun Tianqin defected from Dalian airport to Seoul Air Base in South Korea on August 7, 1983 with J-7I test configuration aircraft.